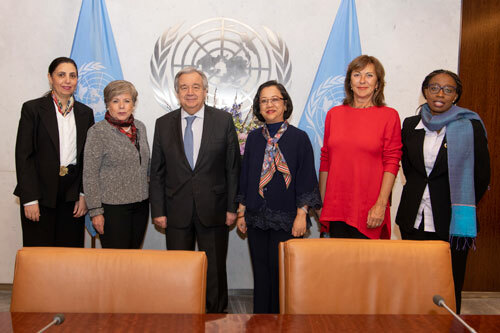 Secretary-General António Guterres (centre left) meets with (left to right): Rola Dashti, Executive Secretary of the Economic and Social Commission for Western Asia (ESCWA); Alicia Bárcena, Executive Secretary of the Economic Commission for Latin America and the Caribbean (ECLAC); Armida Salsiah Alisjahbana, Executive Secretary of the Economic and Social Commission for Asia and the Pacific (ESCAP); Olga Algayerova, Executive Secretary of the Economic Commission for Europe (ECE); and Vera Songwe, Executive Secretary of the Economic Commission for Africa (ECA). 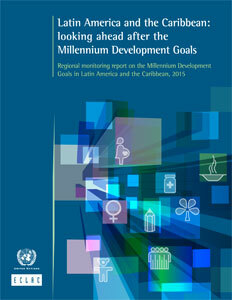 Report of the Secretary-General on regional cooperation in the economic, social and related fields and its Addendum. 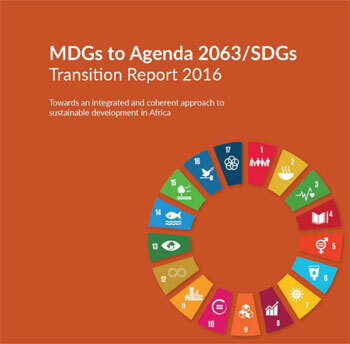 The present report highlights the central role of the regional dimension in translating the 2030 Agenda for Sustainable Development into national sustainable development realities. The report is structured in two main parts. 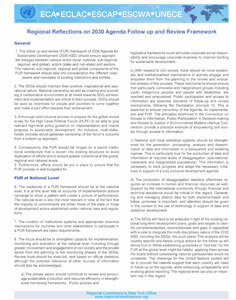 The first part illustrates how the assets and core functions of the regional commissions are leveraged in an integrated manner and with the addition of value to support the efforts of Member States to implement the 2030 Agenda, including the Sustainable Development Goals, through the provision of dedicated regional intergovernmental platforms with strong national ownership, such as the regional forums on sustainable development, the generation of multisectoral and policy-relevant knowledge and data, and the promotion of regional and subregional integration and cooperation. The second part covers developments and outcomes in selected areas of regional and interregional cooperation, including policy matters addressed during the regional commissions sessions and other intergovernmental meetings and efforts to promote coherence at the regional level. 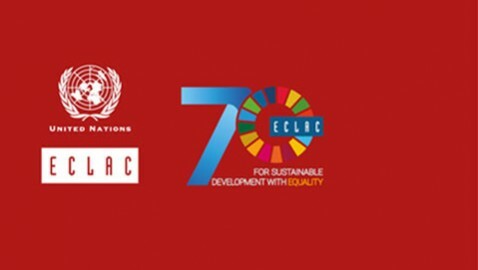 The Addendum contains information on the resolutions and decisions adopted or endorsed by ECLAC, ECA and ESCAP at their Commissions’ sessions, that are calling for action by or are brought to the attention of the Economic and Social Council. The Regional Coordination Mechanisms (RCM) were mandated by ECOSOC resolution 1998/46 of July 1998 (Annex III, B para 13). The role and functions of the RCM in promoting coherence in policy and in regional and sub-regional programming are being reinvigorated within the new parameters and frameworks of UNDS strategic engagement in the regions. 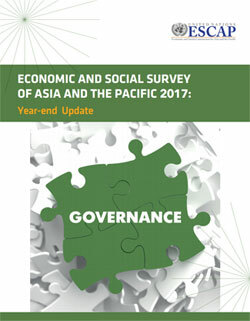 Its role is increasingly relevant in order to meet the integrated policy advice needs of the 2030 Agenda, strengthen the policy-operational linkage including in strategic planning and regional and subregional programming, avoid duplication and overlaps, and ensure a more coherent and robust accountability to ECOSOC and its oversight of the regional level results. All five RCMs have taken action to align with the 2030 Agenda and their work feeds into the Regional Forums for Sustainable Development. 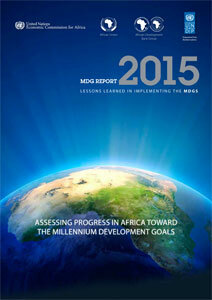 While their working arrangements as well as the level of interaction with the regional-UNDG (R-UNDG) vary from region to region, efforts are being made now in all regions to convene the RCM and R-UNDG jointly or back to back, pending a broader repositioning of the regional level to be proposed and decided upon by Member States as an integral part of the UNDS repositioning to support implementation of the 2030 Agenda. As per General Assembly resolution 71/280 (2017) which requests the regional economic commissions, in collaboration with other relevant UN entities especially IOM, to organize discussions among member states and other relevant stakeholders to examine the regional and sub-regional aspects of international migration and to provide inputs, in accordance with their respective mandates, for the preparatory process of the global compact, preparations are underway under the leadership of the regional commissions for the respective regional consultations and supporting knowledge products which will provide regional and subregional perspectives on the six themes elaborated in resolution 71/280. Attached is a living document reflecting the dates of the consultations and various knowledge products that the regional commissions will be producing in support of fulfilling the mandate in resolution 71/280. It will be continually updated as updates are available. 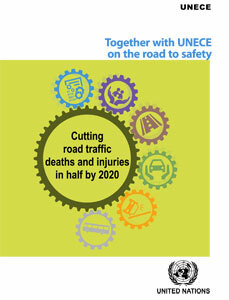 For more information, please contact RCNYO at RCNYO1@un.org. 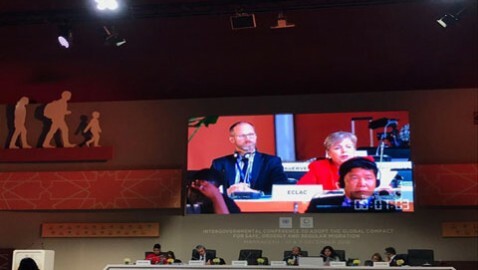 UN Regional Commissions at the Intergovernmental Conference on the Global Compact for Migration , Marrakech, Morocco. in Atlas 1 Room, Palmeraie Golf Palace. 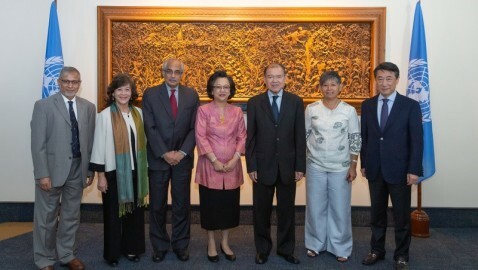 The United Nations Regional Commissions have a significant role to play in promoting sustainable development in their respective regions by promoting peer learning and cooperation, including South-South and triangular cooperation and effective linkage among global, regional, subregional and national processes to advance sustainable development. 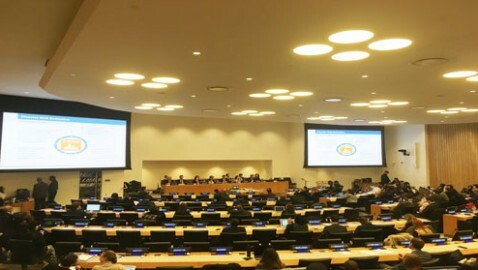 Regional Commissions convened Regional Forums for Sustainable Development in the regions which support the implementation of the 2030 Agenda, including its follow-up and review process, and provide regional inputs to the High Level Political Forum (HLPF). Sessions of the Regional Commissions also provide inputs into the HLPF, support implementation, peer learning and review of the 2030 Agenda.